P Chidambaram claimed that joblessness was rampant. Addressing a press conference in Delhi today, he said a flawed road to GST continues to haunt trade and business, and the adverse effect of demonetisation have been established 'beyond doubt'. 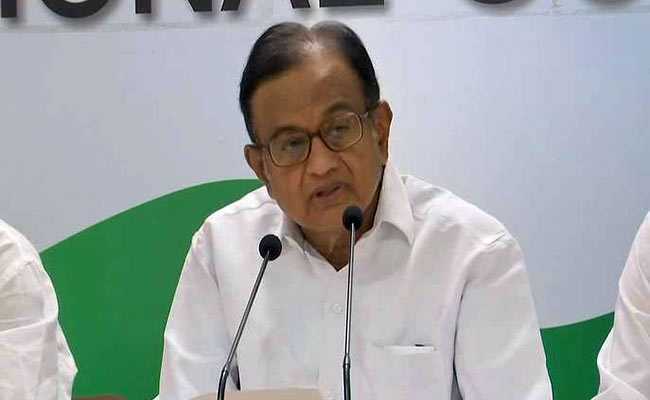 Mr Chidambaram alleged that there was distress in various sections of society, including farmers, who were not getting remunerative prices of their produce, and the youth due to joblessness. "The tyres of three of the four wheels on which the economy rides are punctured. Firstly exports: the growth rate in the last four years have been negative. Secondly, private investment: it is in the doldrums, if not dead. Gross fixed capital formation is stuck at 28.5 per cent for three years. Thirdly, private consumption: it was limping until a few months ago, there is a mild up-pick, and we keep our fingers crossed". The Congress leader claimed that joblessness was rampant and there was a great ferment in campuses across the country because young men and women knew that there would be no job when they graduate. "So far nobody has bought the innovative idea that 'frying pakoras is also a job'," he quipped.